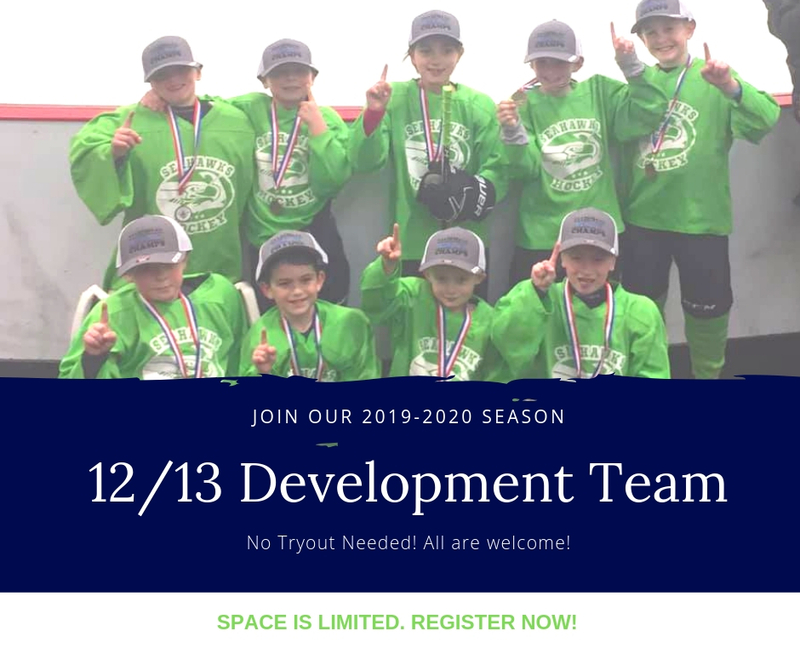 Our 12/13 Development team helps our littlest Seahawks learn the importance of teamwork, skating, puck handling and positioning all while encouraging fun and excitement. No tryout needed as we welcome all to experience our program and our passion at this level. Registration is now open BUT space is limited. Spring is here...and so is our Spring Hockey Camp! This is a 3-day camp which consists of 3 on-ice sessions and 3 Dryland training sessions. Skills and Development coach Chris Greene will be running the camp with no shortage of enthusiasm and intensity! This camp is for all ages and players will be divided up with their age group/skill set. Fun for all and all for fun! See you there! 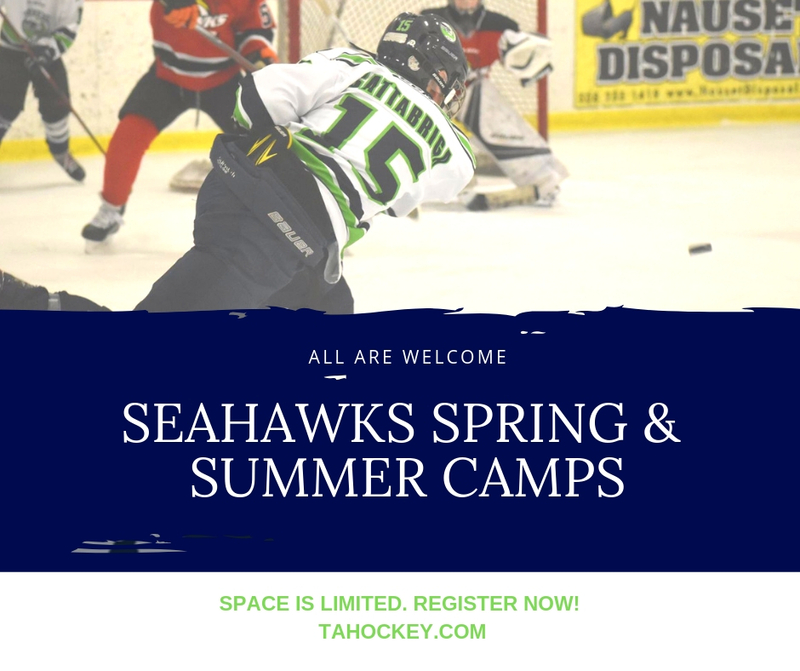 Seahawks Summer Camp will be a fun-filled and exciting 3-day camp run by our Skills and Development coach Chris Greene! This camp will be packed with high energy drills and skills while focusing on all areas of the game to help improve every individual. Players will be on the ice 2x a day with a Dryland training session in between. Dryland workouts will be a mix of plyometrics and body weight training, and also stick and ball training (every player will need a street hockey stick and ball). This camp is for all ages and kids will be split up with their age group/skill level. Look forward to seeing everyone! 2006 Head Coach, Barry O'Neil, and 2007 Head Coach, Steve Hoxie. Head Coach Barry O'Neil, a native of Falmouth, played Prep hockey at Bridgeton Academy before advancing to NCAA DIII at Nichols College. He is the owner and operator of Cape Cod Hockey where he provides camps, clinics and private lessons throughout the Cape and the Islands. Head Coach Steve Hoxie hails from Barnstable and has been involved with youth sports for over 20 years. 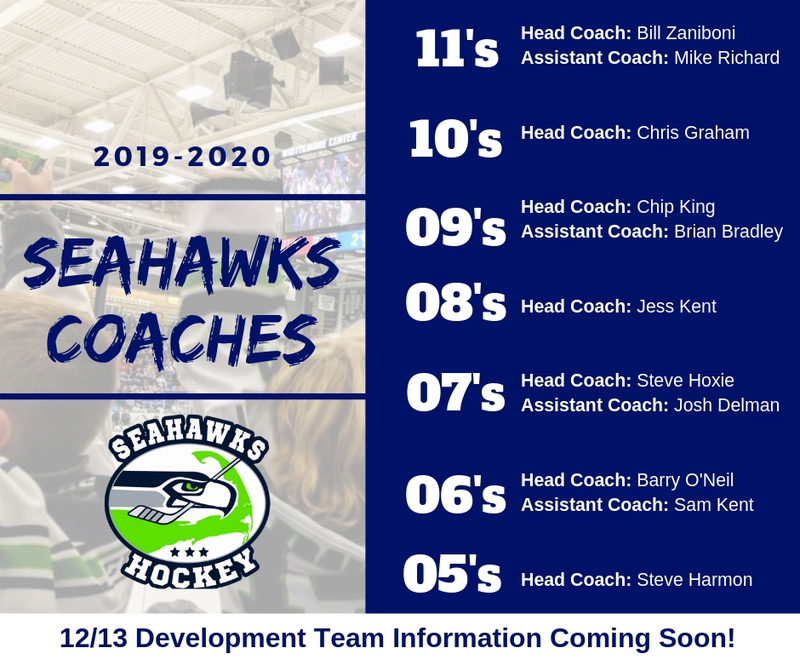 He has coached youth hockey for local programs around the Cape at many different levels and brings a lot of coaching experience to the Seahawks Organization. Welcome to the Seahawks Family Barry and Steve!